With the prevalence of mobile technology in the modern world, you probably hear something about the Cloud on a near-daily basis. The strange thing is that many people don’t really know what the Cloud is or what it can do. To most people, it’s more of a technology buzzword that represents cutting-edge innovation, but there’s so much more to it. Surprisingly, versions of the Cloud have been around for quite a bit longer than you might think. Cloud technology operates much more simply that you might imagine. In essence, it is nothing more than a way to use the internet as a method for pooling system resources to achieve results that are greater than any single piece of the system could achieve on its own. Because of the simplicity of the systems, Cloud computing and storage has been around since the 1990s in one form or another. It wasn’t until years later that it adopted that familiar moniker. You’re almost certainly using some form of Cloud technology at this very moment. It has been so ingrained in modern technology that it’s almost like a secondary internet in a strange way. Major services like Uber and Facebook take advantage of Cloud computing to offer things that they otherwise wouldn’t be able to offer. Anyone familiar with iOS for iPhone is certainly familiar with iCloud, Apple’s proprietary Cloud system, and it is designed to sync content across various devices through the Cloud. The Cloud also allows for levels of cross-platform collaboration that have never been seen before. For instance, there are now companies that devote their entire service list to supporting other businesses with Cloud-based technology. By using the Cloud to take advantage of as many of these services as possible, a modern business can grow and develop much faster than it would if it had to perform those services on its own. Software suites like SalesForce help with streamlining the sales process, and it does so by using Cloud technology to aggregate customer data. Without the help of this sort of Cloud-based software, businesses would have a much harder time dealing with customers. Data is the lifeblood of the Cloud. Cloud technology requires a vast amount of input data for optimal functionality, and it creates a vast amount of data in the process. This form of Big Data can be quite a bit more helpful to a business since the Cloud-based systems inherently makes the data organized and searchable. Another great thing about the Cloud is that it often deals with smaller pieces of data that eventually get aggregated into what might be considered Big Data categories. With the amount of data that gets churned through Cloud-based technology systems, a number of hidden social problems have been brought to the surface. For instance, Cloud technology makes it easy to collect and organize data related to specific statistics, like those related to crime, policing, pay gaps, and much more. In many ways, the ability to analyze data from Cloud technology systems produces real results since it shows a more direct picture of the subject in question. Hearing about specific stats might not make much sense, but a system that analyzes all those data points and presents them in an understandable way is sure to expand understanding. Perhaps the greatest thing about the Cloud is that almost anyone can access various data points from online sources, and since the internet is essentially one big Cloud, there are an amazing number of resources that contain free information useable by the Cloud. With the help of a Cloud-based technology system, all that data can be sorted and understood in a much more direct and clear-cut manner. The ability to visualize data is also nice since it provides a way to better understand the subtleties of the information. The key thing to remember about the Cloud is that it works a lot like the internet, but simply on a smaller scale and with the internet as a foundation. 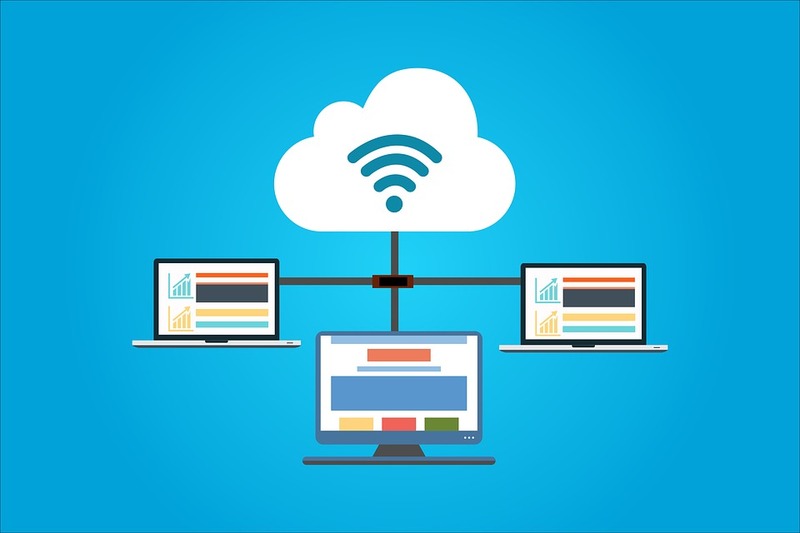 The main difference is that the Cloud translates the raw communication and connection of the internet into something optimally useful.